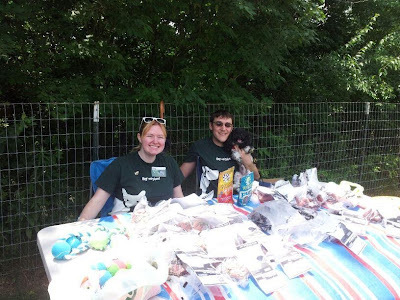 With only 2 days notice, the New Albany, OH pet center team was asked to participate in a neighborhood event. Without hesitation, the team made it work for their schedules. Team Members, Paige and Ethan, volunteered to work the event and hang out in the dog park. In just 2 hours, they saw over 30 dogs, handed out PPC applications, biscuits, and toys to their neighbors! Thank you Paige and Ethan (and Rhett) for participating in the neighborhood event! Great job to New Albany! It looks like you were having fun!